Live in a big city where space are really expensive encourage people to get creative and effective in the spatial use of their apartment by using small apartment furniture. Try living in New York, Tokyo, London or other big cities in the world, space is really expensive therefore so many people have to live in small apartment. 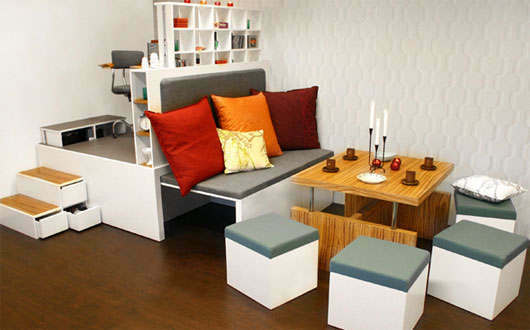 Living in small apartment, though, doesn’t mean that you have to sacrifice comfort and aesthetic aspect of your home. Nowadays there are many furniture manufacturers and designers providing wide range of small apartment furniture that are both functional and stylish. 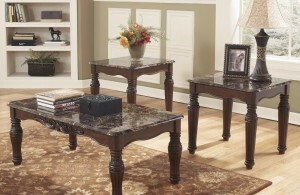 By utilizing small apartment furniture you can still live with style and comfort despite living in small apartment. However to find the right furniture for your apartment can become a difficult task especially if you new to the whole furniture hunting. 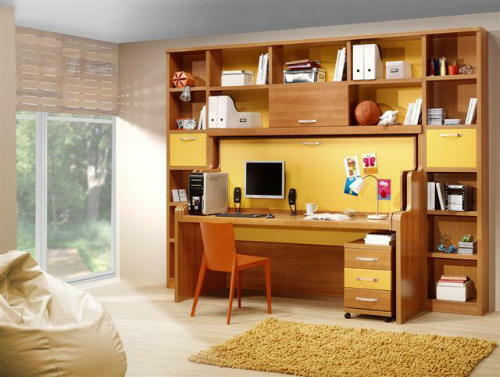 In order to help you find the right furniture we will provide with some small apartment furniture design as mentioned by Neelima Reddy from homeinteriorszone.com. Enjoy! 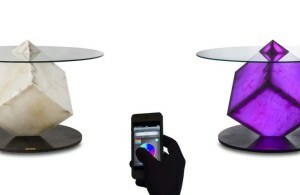 Fix It on The wall furniture: Who want a personal contemporary piece of art that can also be utilized as a coffee table? Try the Fix on the wall furniture then. 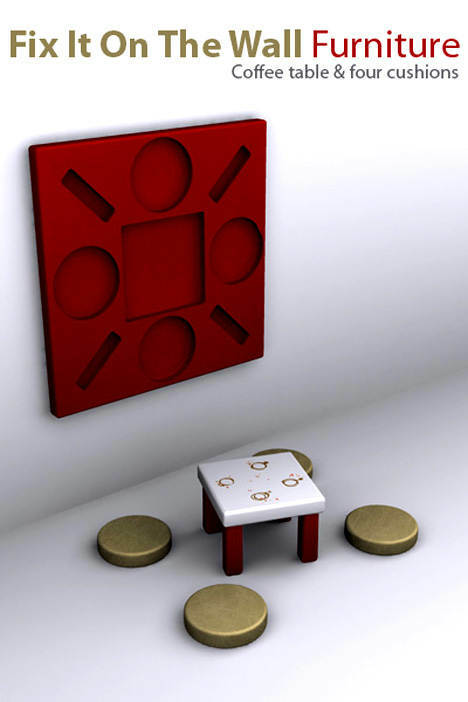 It can be hung and personalized through the tiny removable plug as a wall decoration then when needed you can remove the plug and use it as a coffee table. 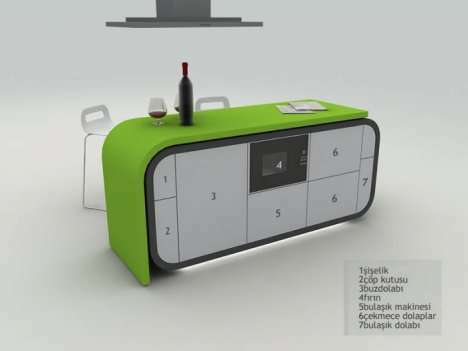 Modular kitchen: nowadays there are many manufacturers providing various design of modular kitchen for small apartment but one particular product by Fevzi Karaman really caught our attention. 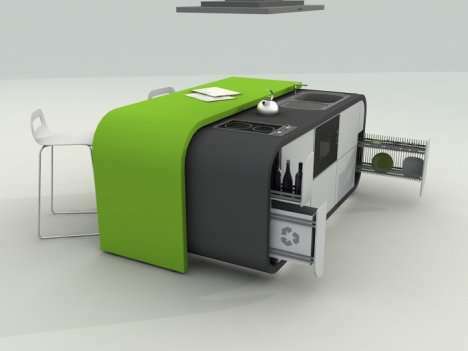 The design looks really stylish and sleek with green color scheme and kitchen appliances such as small stove top, trash can, and kitchen sink hidden. 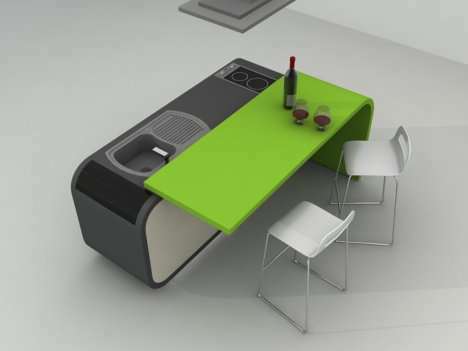 This modular kitchen is really useful for people with only one room apartment as it saves a lot of space. Pool and Dining Table fusion: If playing billiard is your passion but you don’t have enough space to accommodate a pool table in your small apartment maybe you can turn to Aramith pool &dining table fusion. 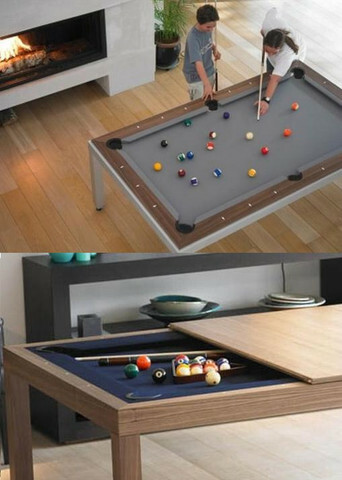 In a mere second you can transform the dining table into a pool table where you can play with your friends. 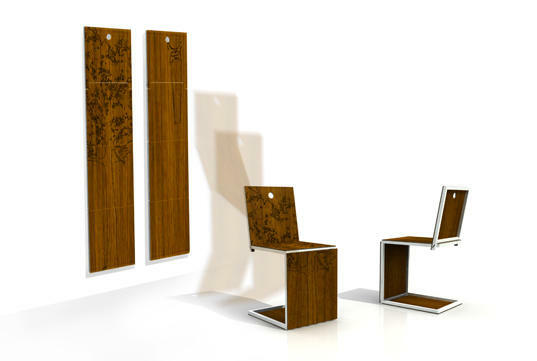 Foldable Swiss furniture: If you are tired paying for a moving service then you might probably want to try this foldable Swiss Furniture. 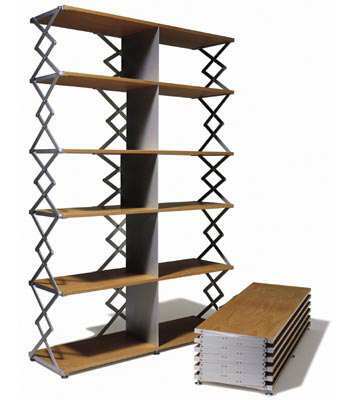 For example the bookshelves that can be folded so small (24 cm) that you can move it around on your own. 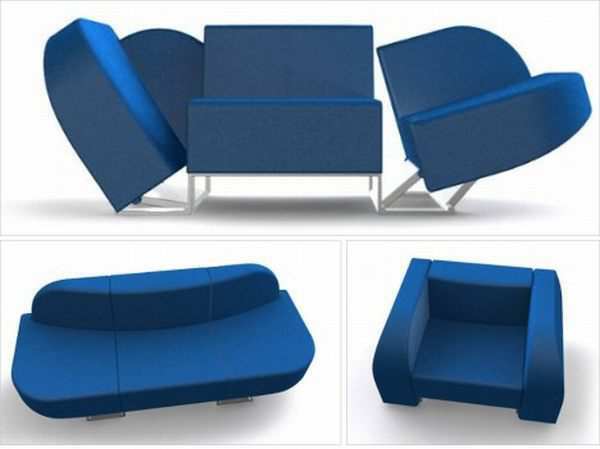 Roel Verhagen-Kaptein 3 on 1: This small apartment furniture can be transformed into a sofa, chair or love seat as you please depending on available space. 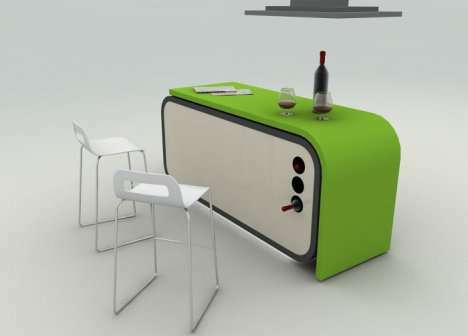 Beside of being functional the furniture also looks sleek, stylish and modern. Studio Dror Folding Chairs: unlike the usual folding chair that usually takes most of its time on storage this one can simply be hung on the wall as part of decoration when you are not using it, practical for small apartment with limited storing space. Computer Desk Bed: Combining bed and computer bed? Working at home is never as comfy as this.